So you’d rather eat your napkin than chew your way through one more whole-wheat tortilla? You may not love whole grains yet, but resistance to whole grains is futile if you want to protect your health (and weight) in the long run. With everything we know about white bread these days, it just doesn’t make sense to keep chowing down on any carb that turns to mush in your mouth. 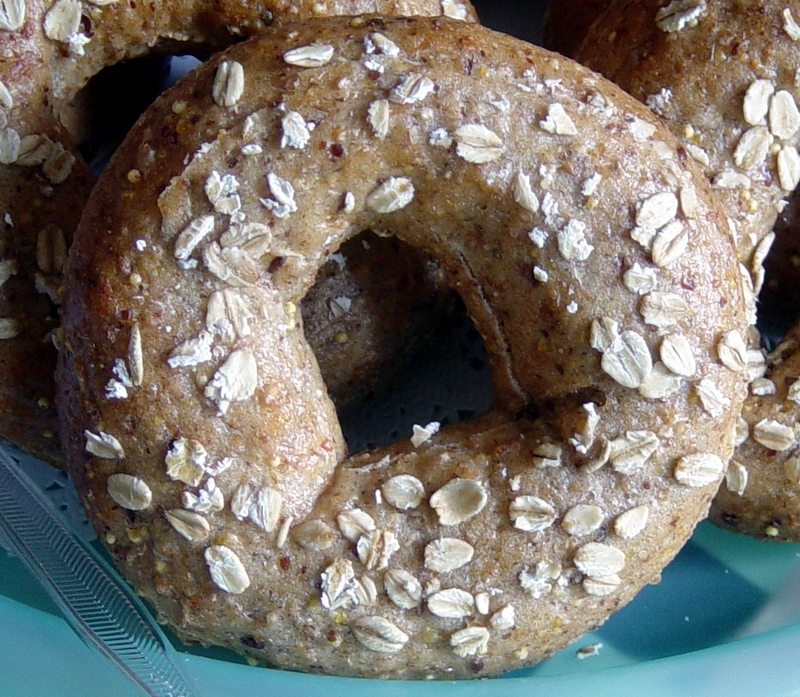 The good news is that you — yes, even you — can learn to savor that whole-grain goodness. The trick is to incorporate whole grains s-l-o-w-l-y into your meals. Love white rice? Whip up half of a serving, and fill the other half of your bowl with brown rice. It doesn’t matter whether you mix them together or eat them separately. You’ll start to develop a palate for the chewier, more flavorful brown variety. I can attest to this because I used to hate brown rice myself. Now when somebody serves me the white kind, I hardly eat two bites because I really crave the darker stuff. Of course, you’re not limited to rice. Use white bread for the bottom of your sandwich and whole wheat for the top. Make some of your tacos with flour tortillas and some with corn tortillas — did you even know those were whole grain? So is popcorn, so snack on some to hone your whole-grain sensibilities. It also helps to accompany your grains with foods you love, even if those foods are a slight bit naughty. Go ahead and add brown sugar to your oatmeal if it means you’re giving up the white toast for breakfast. And sprinkle a little bit of mozzarella cheese on that plate of whole-wheat pasta. Once you love the taste of the grains, you won’t need the enticing accompaniments. If you need some incentive, think about the phytonutrients — hundreds of them — that you’re missing with refined grains. The bran and germ of grains are removed during milling, leaving just the lonely endosperm. So you really only get a fraction of the nutrients. Scientists are still trying to figure out how all of the substances in grains help our bodies, but you could reduce your risk for diabetes, heart disease and some cancers by going the whole-grain route. Plus, people who eat refined grains tend to weigh more. ‘Nuff said. « What is a GMO Anyway, And is it REALLY So Bad?